Welcome to the openMSX section on the MRC board. 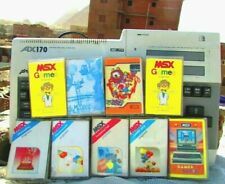 This is the official continuation of the old openMSX forum. Since most openMSX developers are active on the MRC we can now frequently check for bug reports/questions or other remarks. I will also try to post new tutorials and how-to videos in the near future.